Diabetic since 2 years wit hb a1c 5.2%, fasting sugar 144 mg/dl, but urinating 10 times a day. Why? QUESTION: I am diabetic since 2 years. Today I checked my hba1c result is 5.2% but am urinating 10 times in a day which quite difficult for me. The normal blood glucose level is between 64.8 and 104 mg/dl and your blood glucose result is 144mg/dl. As you can see, your blood glucose result is high that needs your attention. Yes, it is true that your HbA1c result is normal, but it is not defining the urination, it is showing how your diabetes was controlled during the last 3 months. I’m sure that except for the frequent urination, there is frequent thirst and hunger, which are some other symptoms of diabetes, especially when it is not controlled well. 1. One of the reasons why you are urinating so many times is the elevated glucose concentration. As glucose is an osmotic agent, the glucose molecule attracts water. 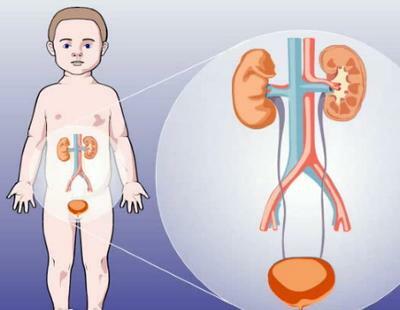 So, when the glucose passes through your kidney, it attracts more water for your body, which is characterized by great production of urine and frequent urination. You have to know that the frequent urination is not the only problem of yours and you have to start controlling your blood glucose in a better way in purpose to prevent further complications. The very first thing you can do is to consult with your doctor about some changes you would need to do in the therapy. The other things include following a healthy diabetic diet with less sugary foods and to start doing exercises. You have to know that diet is very important for patients with diabetes, especially when they are not able to control their blood glucose level by drugs, just like you. Besides the diet, you can start using certain herbs, like cinnamon, gymnema sylvestre and bitter melon, which are proven to work in lowering your blood sugar and keeping it within the normal ranges. The other thing, which is important in your case, is to start running for about 30 min to 1 hour in the evening. This will help you to reduce the glucose concentration in your blood, which will lead to lower fasting blood glucose concentration in the morning. I know that it is hard for you to combine all these things, but you are doing it for your health. 2. Another point I wanted to stress out is any possible urinary tract infection (UTI). Usually, people with diabetes are prone to these kind of infection; therefore you should check your urine (through urinanalysis) more often to catch the UTI in time. 3. Although you have not mentioned your age, I have to remind you that if you have reached your 50s, you should also check your prostate for any problems that run at this age.